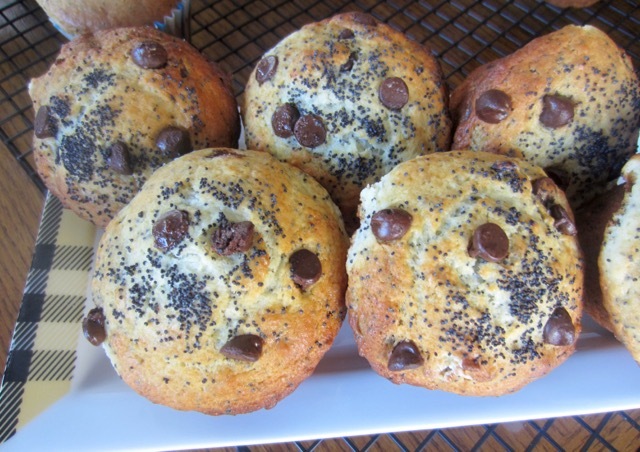 The crunch of poppy seeds and the chocolate chips make a very nice combination. I hope you’re having a great week. Enjoy the rest of the week! 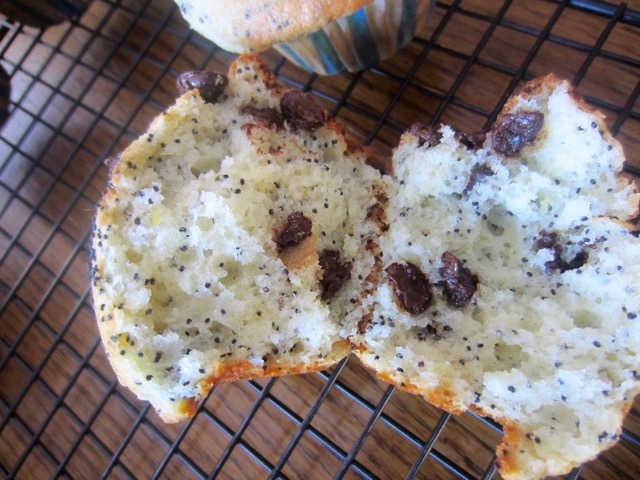 Sift the flour, baking powder, baking soda (bicarbonate of soda) and poppy seeds into a bowl. Stir in the chocolate chips. Make a well in the centre. In another bowl, whisk together sugar, eggs, yoghurt, melted butter and lemon zest (rind) until well blended. Add the blended mixture to the sifted flour. Stir gently until just combined. Do not over mix. Preheat the oven to 375°F (190°C) convection ten minutes before using. 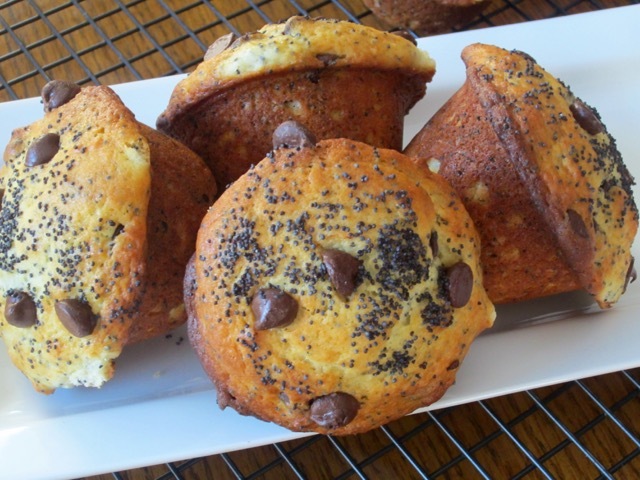 Grease an extra large, 12-hole, non-stick muffin tin or use paper cases. 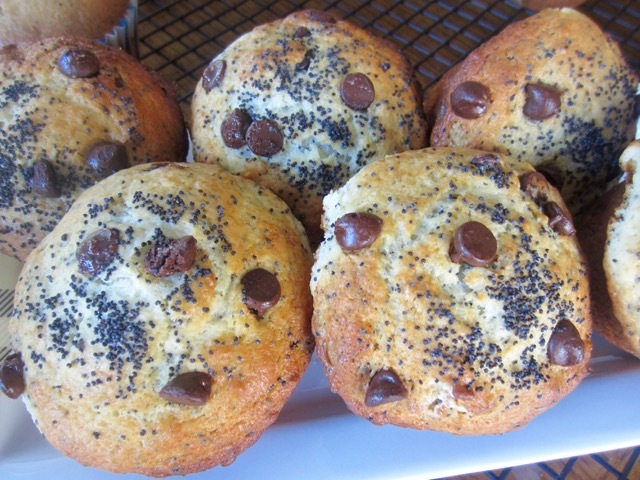 If you bake directly the muffins will be very crunchy on the outside. 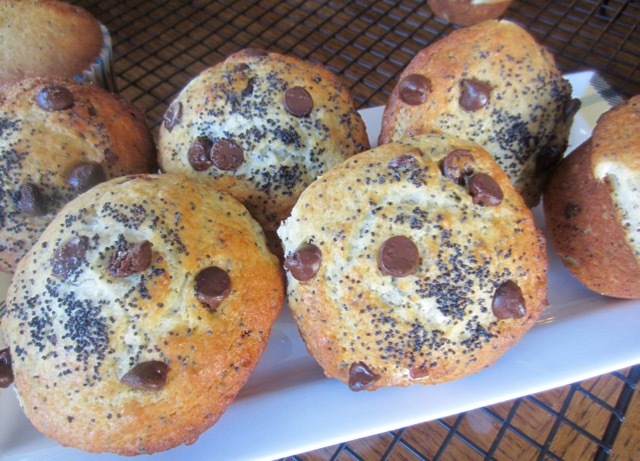 Sift the flour, baking powder, baking soda (bicarbonate of soda) and poppy seeds into a bowl. Stir in the chocolate chips. Make a well in the centre. Spoon batter evenly, into the prepared muffin tin (pan). 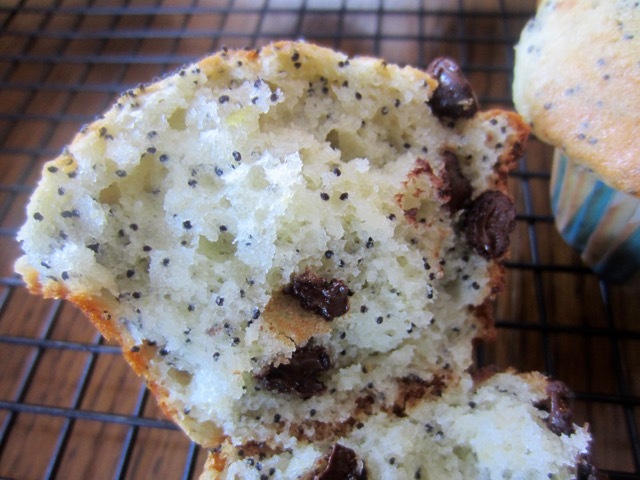 Top with extra chocolate chips and poppy seeds. Bake 20-25 minutes or until golden and a toothpick inserted in the centre comes out clean. Stand for 5 minutes, then loosen, carefully, with a flat bladed knife and transfer onto a wire rack to cool slightly. Please note that oven temperatures are given as a guideline only. You may need to add or reduce the suggested temperature depending on your oven. 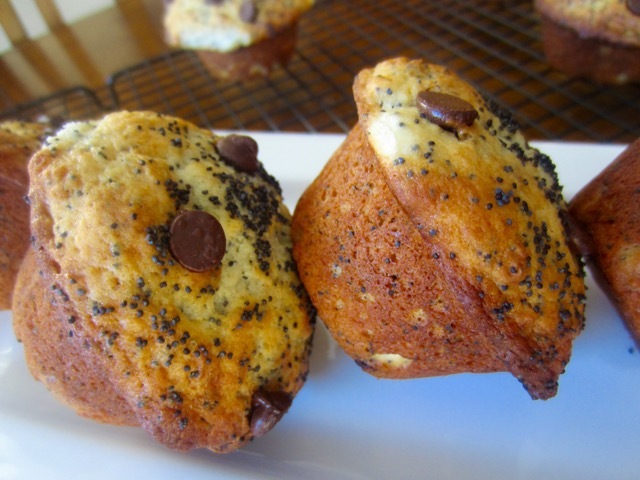 I baked the muffins at 375°F (190°C) convection for 28minutes. Last Updated: September 3, 2018. Prev What is Chana Dal? Next What is Sweet Basil?